Introducing, the three Jays. Jay Leonard Juatco, Jay Esplana and Jason Nickel, three of Vancouver’s most talented and energetic performers. 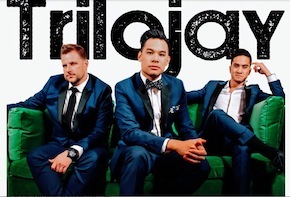 Beyond the razorblade grooves, adrenaline–fueled stageshow, and mastery of their art, Trilojay is about the experience of music. One can experience Trilojay either from the dense heat on the dance floor or the inspired creativity in their arrangements. Regardless of the means of enjoyment, the group has something inspiring and captivating to emit beyond the boundaries of the stage’s edge. The musicians in this event band are among the elite in the industry and their goal is to create something new yet completely familiar to the people. Outstandingly versatile, quickly adaptable, and attune to the emotion of the crowd, Trilojay is always ready to fill the dance floor and keep it crowded till the last downbeat. Jay Leonard’s rich and diverse musical technique is augmented by his West Coast upbringing and cultivated by professional experience globally throughout North America, Europe, and Asia. As a graduate of the Berklee College of Music, he can comfortably perform in a variety of different situations: composing arrangements for ensembles and work on both sides of the studio glass. He is a collaborator with many chart topping Hong Kong pop artists (Jun Kung, Khalil Fong, Bibi Chou, and Sandy Lam) as well as Canadian reggae artists Redeye Empire and soul musician Warren Dean Flandez; Jay has produced promotional music for television and Netflix and also hosts a YouTube series with clients including Robert Keeley, JHS Pedals, Wampler, and Yamaha Guitars. Some various touring highlights include performances at the The Hong Kong Coliseum, MGM Grand Arena, Singapore Outdoor Stadium, Caesar’s Palace Coliseum, and Hammersmith Apollo (London). Alongside Juatco’s technical ability and creativity, he is also a charismatic stage performer. In the role of a natural, enigmatic front–man, solo acoustic act, or as a supportive and engaging band member, his performances are as skilled and entertaining as they are energetic. He is an artist dedicated to promoting and sharing work through the capacity of his musicianship and his innate ability to engage with others. 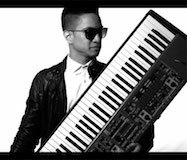 Over the years, Jay Esplana has become one of Vancouver’s most sought after keyboard players. Anything from jazz, funk, pop, rock and everything in between, Jay’s versatility behind the keyboards as well vocally has found him performing and recording with various local and touring groups such as Speakerbox, The Airtights, Groove & Tonic, Jay Leonard Juatco Trio, No Island and Electric Ballroom. Music has always been an integral part to Jay’s upbringing. To this, Jay by age 6 had already appeared on television shows such as The Jenny Jones Show, Variety Show of Hearts Telethon, as well as an anthem singer and halftime performer for the BC Lions. In 2014, Jay completed his Bachelor of Music in Jazz Studies on Piano at Capilano University. Alongside Jay’s musical ability and creativity, he brings an energy and unique personality to the stage as a keyboard player and vocalist alike. 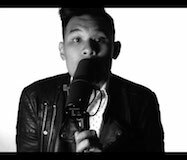 Despite being the youngest member of the band, Jay continues to develop a promising career as a session musician as a keyboard player, bassist and drummer as well as an educator. Jason Nickel is a highly sought after Vancouver–based jazz/funk and rock bassist and award–winning composer with multiple film and TV credits to his name. Although he grew up studying piano, he is capable on trombone, baritone, guitar, and drums, his greatest passion has always been the BASS. Jason was exposed from a young age to music through his father, who holds a PhD in music composition, and also through the experience of performing in church. He honed his talents by touring internationally with school bands, including a stint at NYC’s Carnegie Hall, winning multiple awards and scholarships along the way. In 2000 he completed his Degree in Jazz Studies, Bass and Voice at Capilano University, having the privilege of studying under Juno winner Chris Tarry. In 2000 he also partnered with Richard Dolmat of Digital Sound Magic, forming an extremely successful song writing partnership. 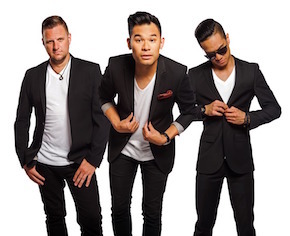 Through their publishing company The Song Lab, their catchy tunes have been featured in countless TV shows and films, including Dexter, Keeping up with the Kardashians, and Malcolm in the Middle, to name a few. 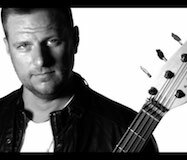 Jason lent his bass guitar expertise to Au4’s album On Audio, which reached high acclaim in the underground scene, both locally and internationally. This album was nominated for best indie album at the Western Canadian music awards in 2007. Jasofbass continues to rock Vancouver audiences as a freelance bass player, sharing the stage with bands such as Groove & Tonic, LeftCoast, Au4, Speakerbox, Kyprios and the Chaperones, Louder Than Love, The Jazz Banditz and The Mike Luno Band.